Just baked a batch of Immaculate Baking Company’s Organic Fudge Brownies. They came out really well. 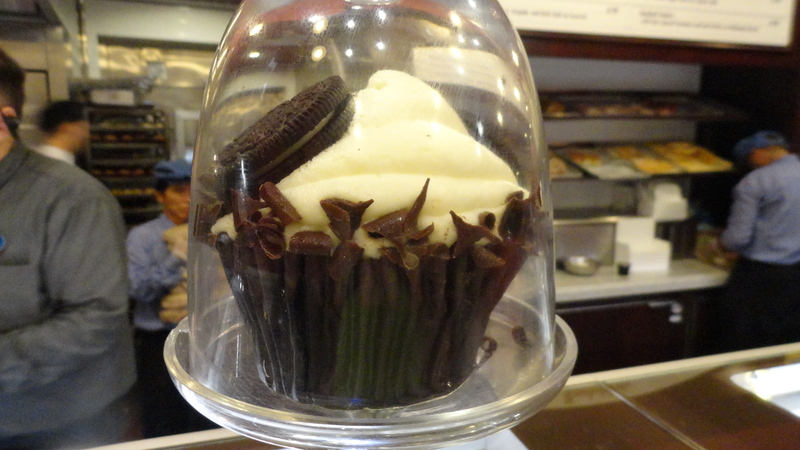 The taste is rich and chocolaty, very sweet. The baking mix, which also contains tiny chocolate chips, only requires 1 stick of melted butter and 2 eggs to bring the mix together. (I think the box I had was an older version, the new directions say add 2 tablespoons of water as well). It is a really thick batter, it actually formed a ball by the time I was done scraping the mix around the bowl. I had to push the batter down into baking pan. It had said on the box that you would have to push it into the pan. I’m glad it said something because it was way thicker than most mixes. This batch took about 30 minutes to finish in a 350 degree oven. The end pieces got a bit crunchy, the center stayed pretty moist. Some people like the crunchier ends. Overall, I was very satisfied with the end result. Brownie mixes can be hit or miss, even when you follow all the instructions properly. It’s a good thing I didn’t cook it any longer, I think it would have really dried out. If you decide to make these yourself, be sure to set your timer and recheck as needed. I set my timer for 22, checked it and it was still soft, and then reset timer again for 8 minutes and it was done. I’m glad there is an organic option available on the market, I’d definitely buy this mix again. 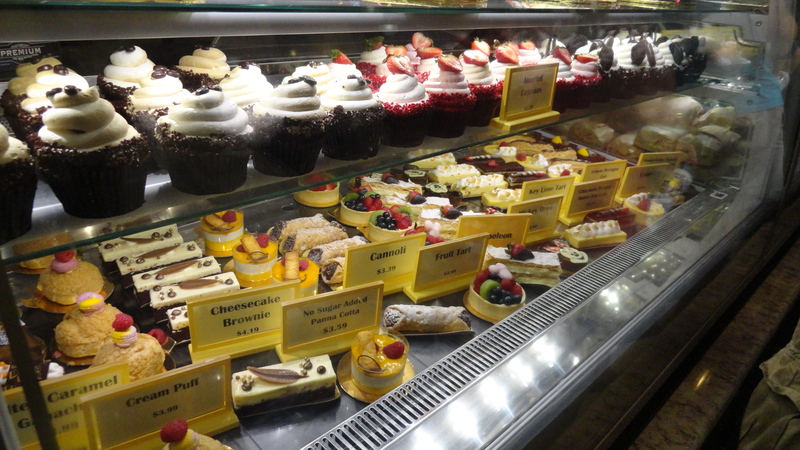 Karamell-Küche is located in the Germany Pavilion in Epcot. 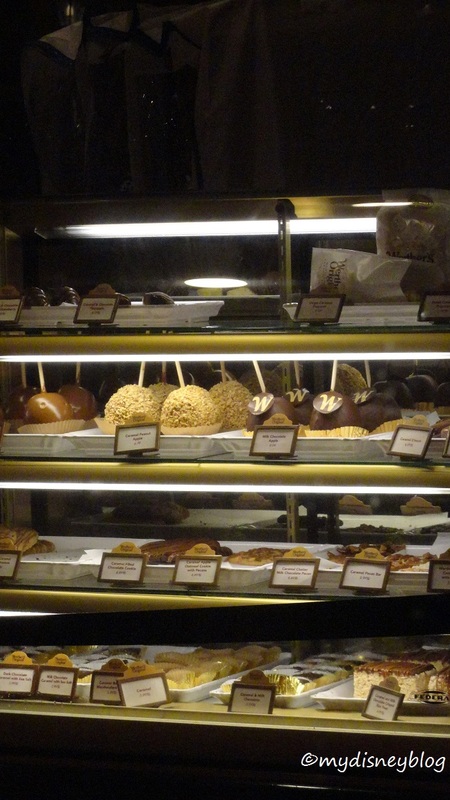 The shop is specializes in caramel treats, all hand crafted, dipped apples and fruits, caramel and chocolate confections, freshly made caramel popcorn, caramel cookies, and more. The shop is basically a Werther’s store, I think it is the only freestanding Werther’s store in the world! You can purchase all manner of prepackaged Werther’s products. I love their caramels, which thankfully you can buy at most grocery stores. 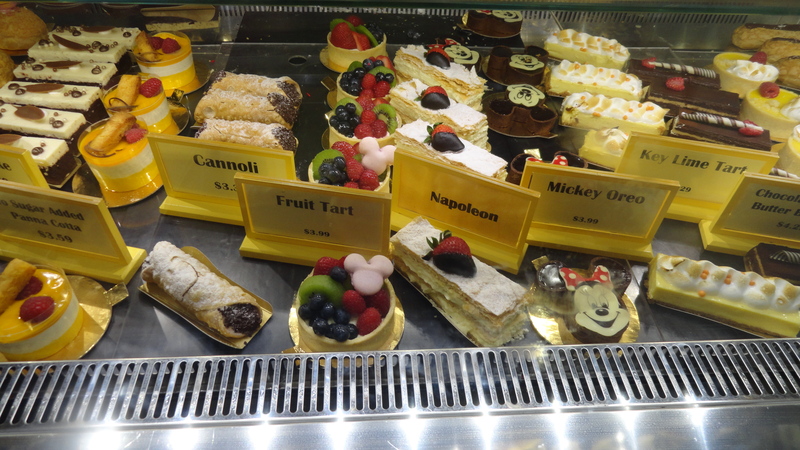 But if you happen to be at Epcot, you should stop by this special bakery and pick up something fresh from the bakery case to satisfy a sweet tooth. Baklava is nothing new to me, at least in the sense that I’ve been eating it since I could eat solid food. However it is something new to try to make it myself. I don’t think many people have actually made this at home before. 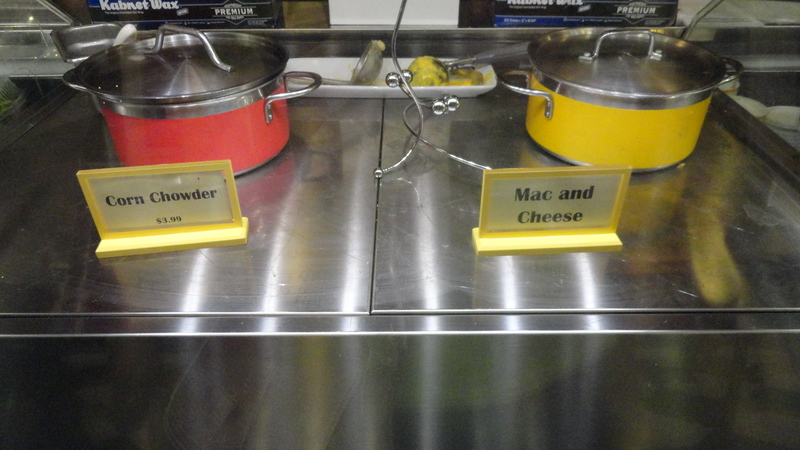 For most, it’s an unusual and exotic dessert. There is something about baklava that really is addictive, perhaps it’s the pure sugar and honey syrup that permeates every bite that gets us hooked. I had bought some fillo dough for making Spanikopita (spinach pie) and only used half of the package. One night I had been looking in the freezer and saw it there and was inspired to try making baklava. It just sounded so good at that moment, I looked up a recipe online and found out I had everything I needed to make it, or at least close enough…I used cashews instead of walnuts for the filling (and sprinkled a bit on top too). The recipe I used was easy enough to follow. But, it takes a LONG time to assemble it and then also make the syrup. I now know why this stuff is so expensive. You really have to work with every layer, butter each layer, and stack them, fill the middle layer, then complete the rest of the layers, cut, and bake. Then you have to make the syrup too which you will need after it’s done baking. I’ve watched videos where some people just stack it, fill the middle layer with nuts, then stack the remainder all first, then cut it, then pour the butter on top, but I’m not sure how it would come out, since that isn’t the method called for in the recipe. To my surprise, all my efforts were rewarded. 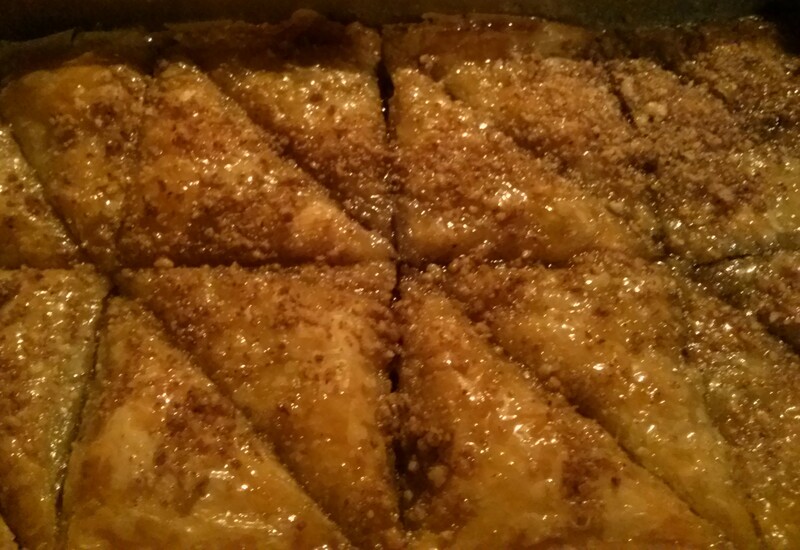 I had made a really excellent baklava on the first try. Taste-wise, it was perfect, the syrup, dough, and filling were great. The overall product was a little bit on the soft side on the bottom layers, not too bad though, but it wasn’t as stiff and dry as most baklava I’ve had at restaurants. If I had to choose, I would rather have the softer layers instead of really dry ones. I also used a butter substitute, the “healthy” kind, made from vegetable oil, that could have been why it was softer, since it wasn’t pure fat. I’ve made it three times now, and the last time was really good, I used a little bit less of the butter substitute and it wasn’t as soggy. It’s very hard to resist, baklava certainly has its charms. My husband absolutely loves it. It’s one of the very few desserts where he can’t resist a second serving (or third). 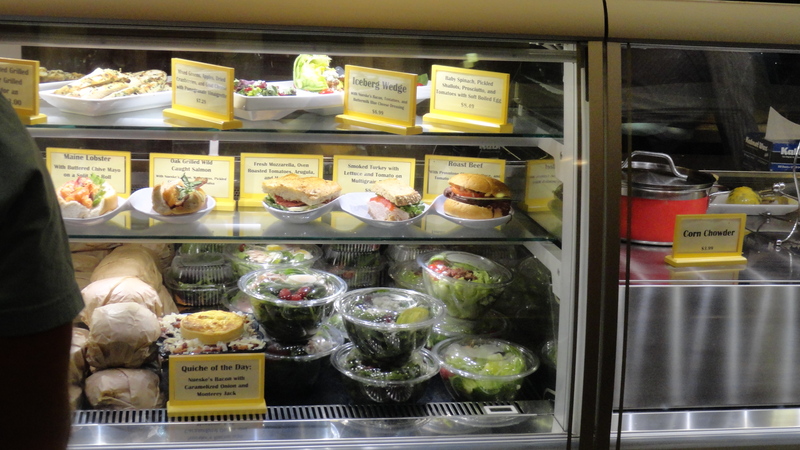 Here’s a look at our food from The Plaza Restaurant located in Magic Kingdom. You’re going to need reservations, we’ve tried to eat here at least half a dozen times without one and been denied. We finally decided to try it one day, and I booked the reservation via the mobile app on the same day several hours before our dining time. 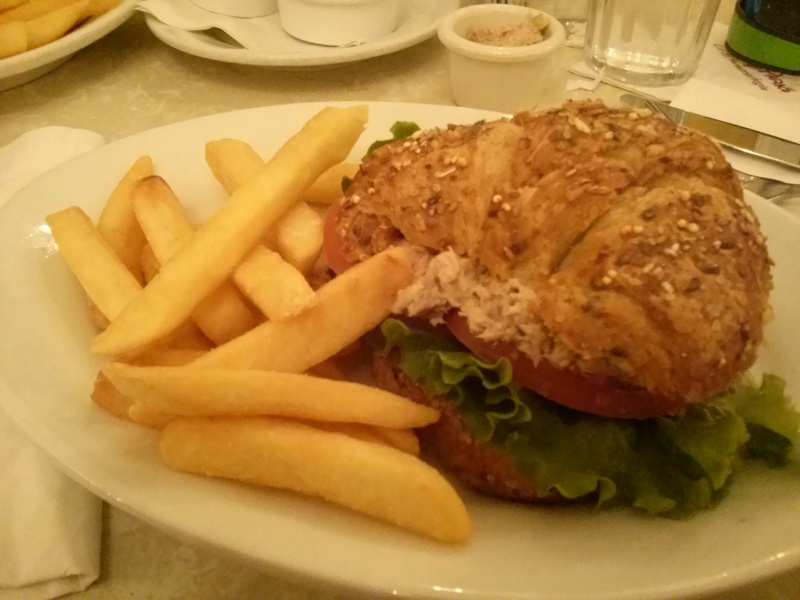 After deliberating for a while, I ordered the Tuna Salad Croissant. It was a little on the salty side, the waitress was kind enough to offer me a sample of the tuna salad before I ordered. It tasted a little strong, maybe not enough mayo, but it was acceptable. The croissant itself was very good. It was not the best tuna salad sandwich I’ve had, but it pretty good. Compared to most Magic Kingdom offerings, this was slightly better than what you may find at Pecos Bill’s or Cosmic Ray’s. 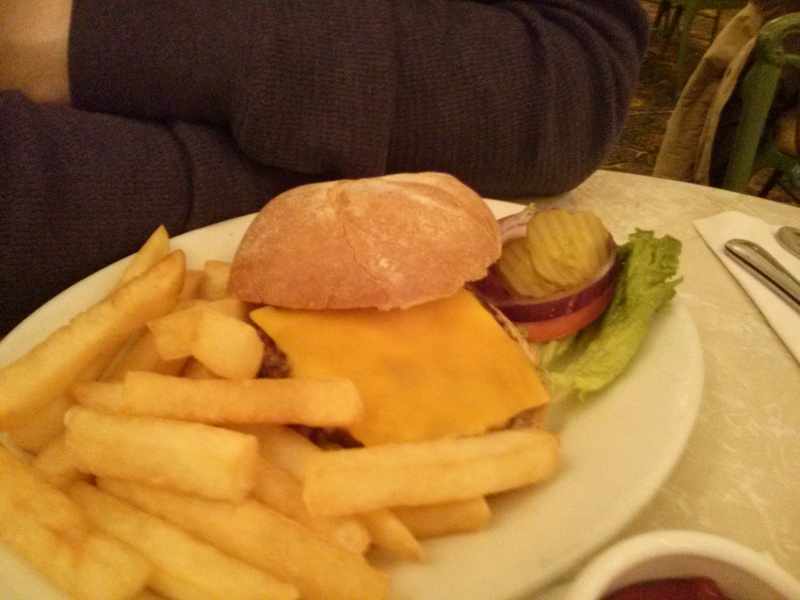 The veggie burger was the standard type they offer at most counter service locations. 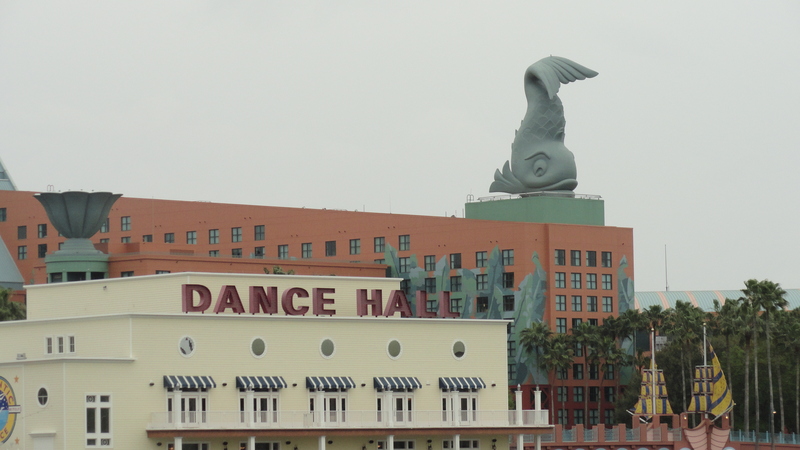 My husband said that he liked it better than Pecos Bills or Cosmic Ray’s as well. The fries were very good, better than I’ve had at any other place at Magic Kingdom. 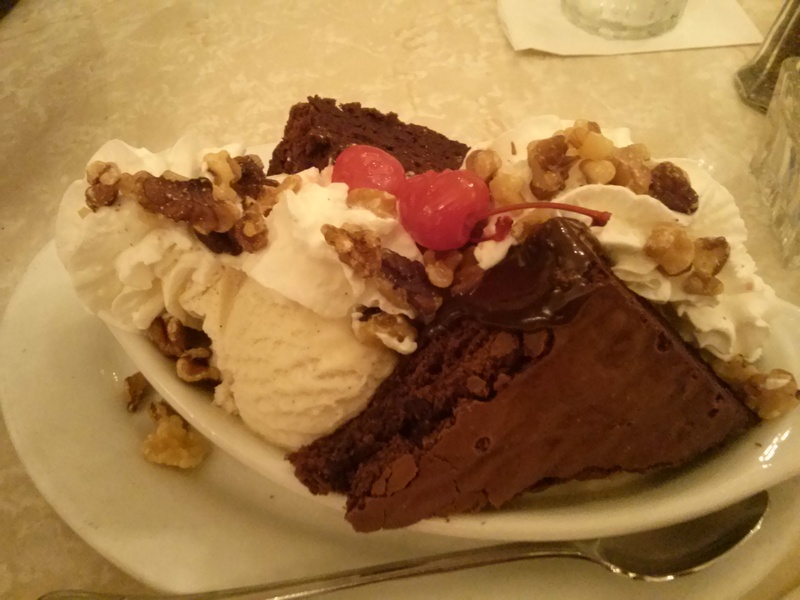 The brownie sundae was pretty good, but it was kind of ruined by the stale nuts they put on top. They were pretty gross and had a bad after taste. 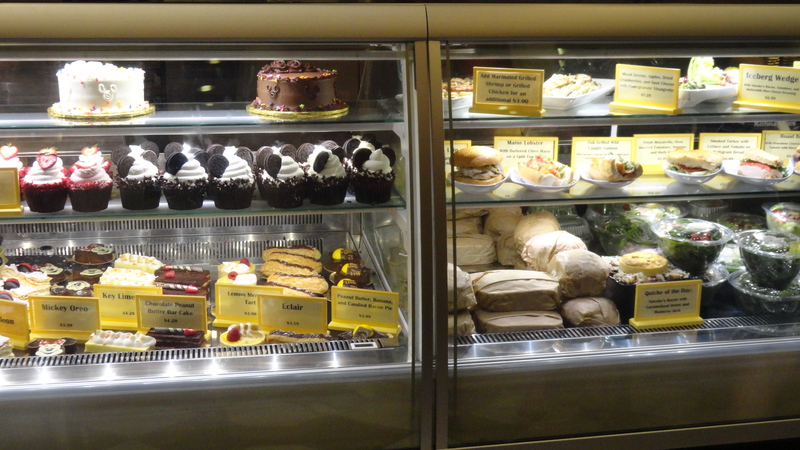 My recommendation would be to have ice cream from next door at the Plaza Ice Cream Parlor. If I had to give the place a letter grade range, I’d say a C+ to B-. I’m sure it would vary according to what you order. It lost points for the tuna salad recipe and the stale sundae topping. 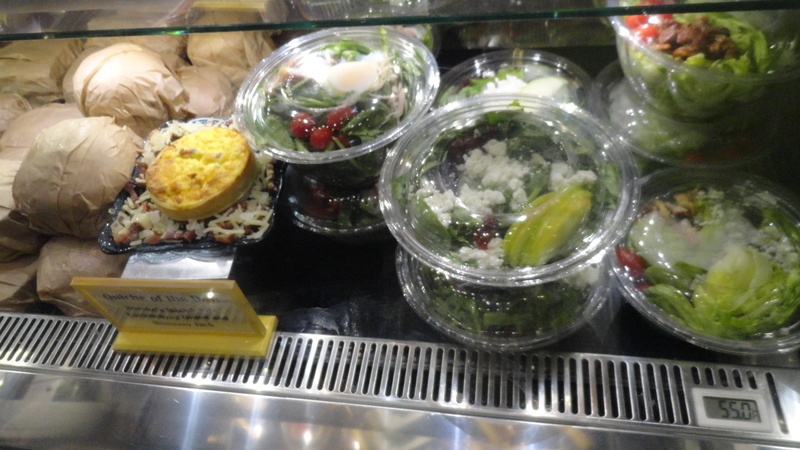 I wouldn’t be afraid to try this place again, it was better than we had expected, and the prices were reasonable. 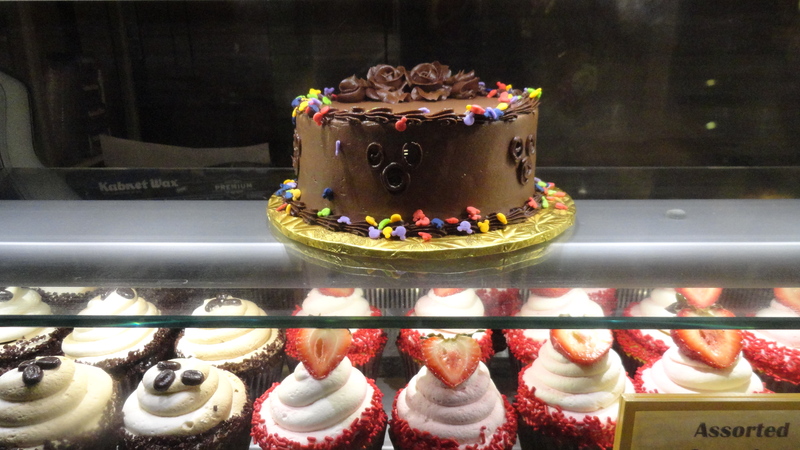 Here are some photos I took at Boardwalk Bakery, there are so many good looking foods and desserts are available at this location. 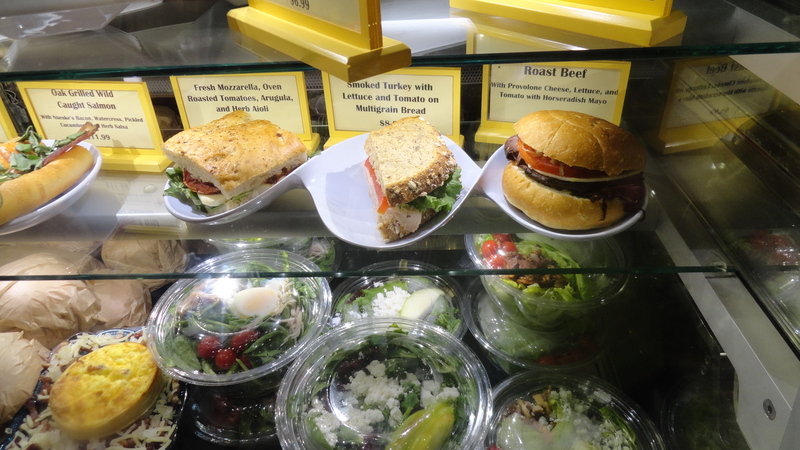 The prices on the menu might be outdated, these photos were taken when the Boardwalk Bakery just reopened after their big remodel. 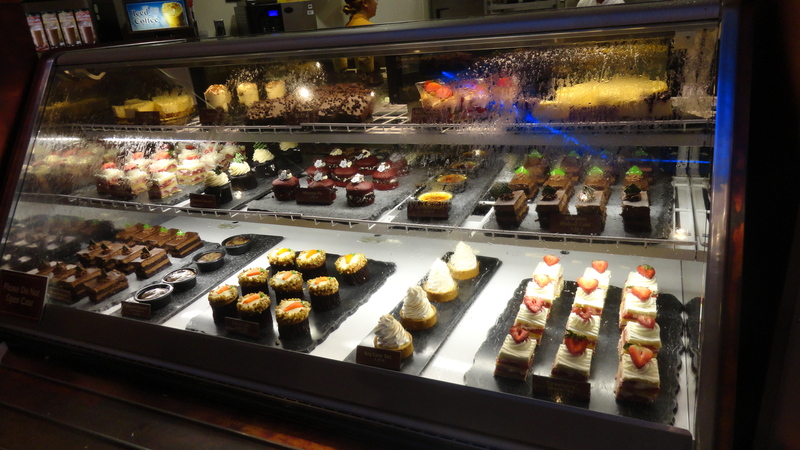 Most of the dessert items count as snack credits, items ranging from $3-5 for most desserts. 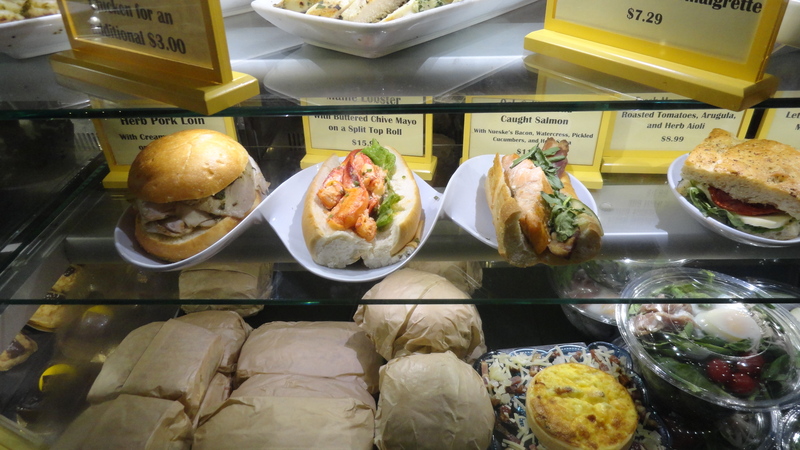 Most sandwiches are $8.99 and up. 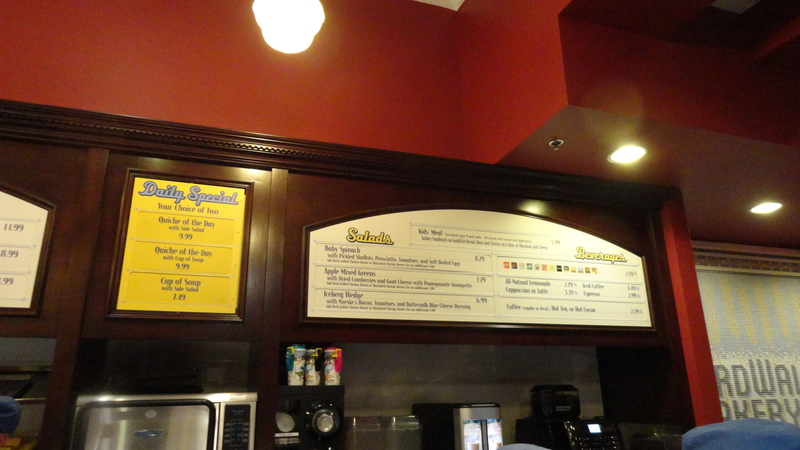 There is also a soda fountain here for your refillable Disney mugs, you can purchase refillable mugs here. 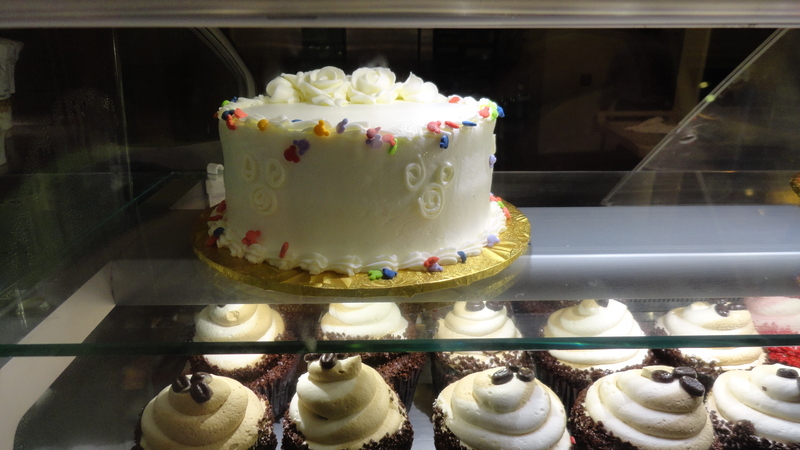 The bakery can get quite busy at times. During the slow times of day it can be a nice place to grab something to eat and relax outside on the Boardwalk and watch the world go by, people watch, enjoy the scenery. 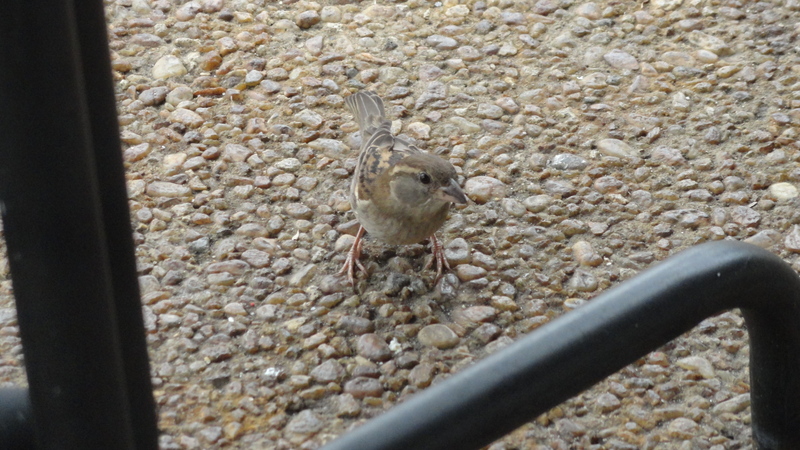 Often times little birds will come by looking for crumbs. 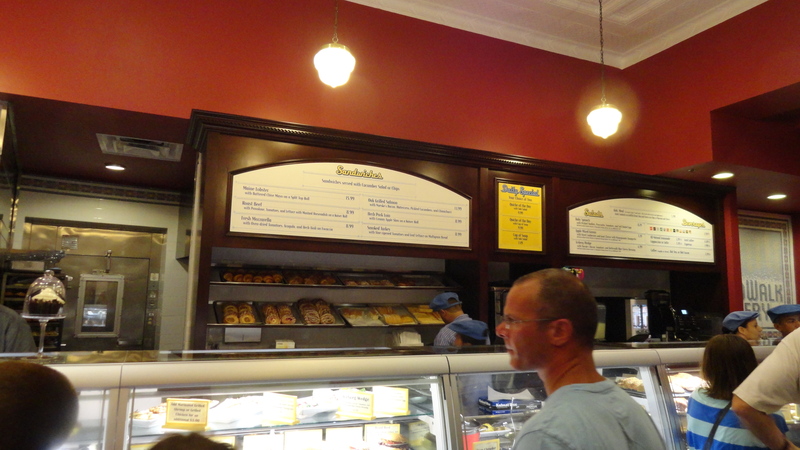 Boardwalk Bakery Menu, and more baked goods, danishes, etc. 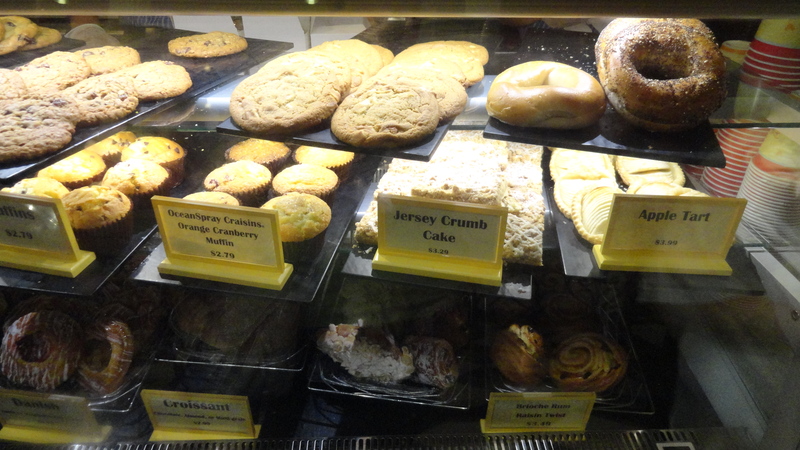 Stopped by Sunshine Seasons food court recently and enjoyed taking a look at some of the baked goodies. There was a large selection of items, some I didn’t take photos of. 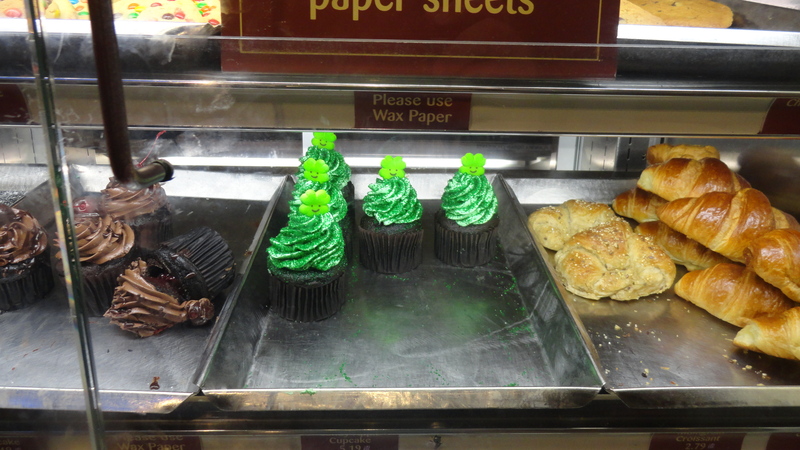 The ones that caught my eye were the St. Patrick’s Day cupcakes, which were really cute looking – Happy St. Patty’s Day! 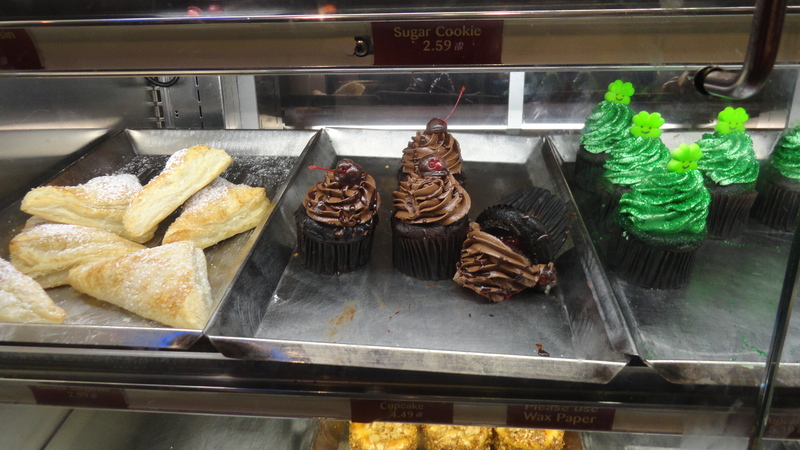 The Chocolate Cherry cupcakes looked tasty too. 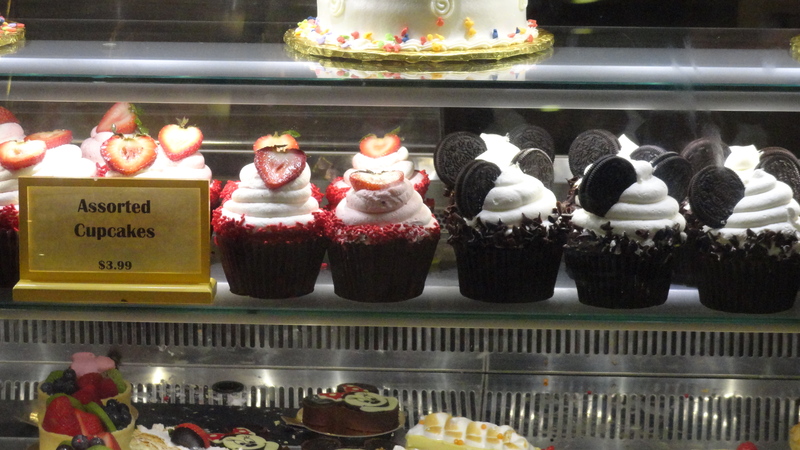 Didn’t get anything on this trip, but on occasion I like to get the Strawberry Shortcake. 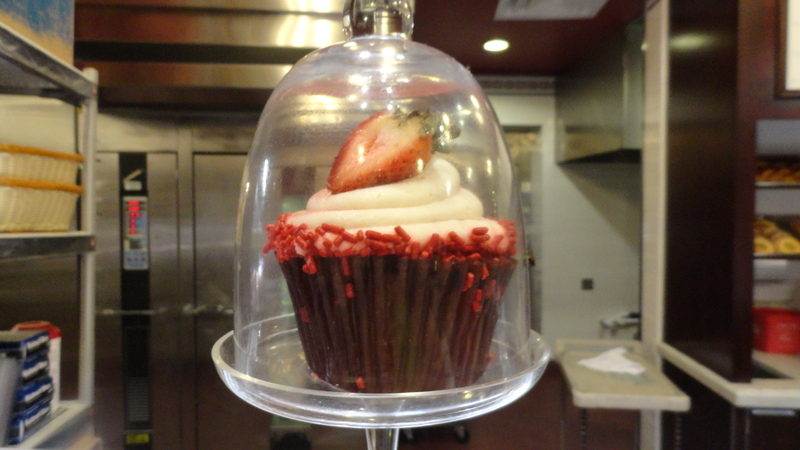 Among the items available: Creme Brulee, Chocolate Mousse Cake, Whoopie Pies, Cookies, Turnovers, Cupcakes, Carrot Cake, Key Lime Tart, Strawberry Shortcake (one of my favorites). 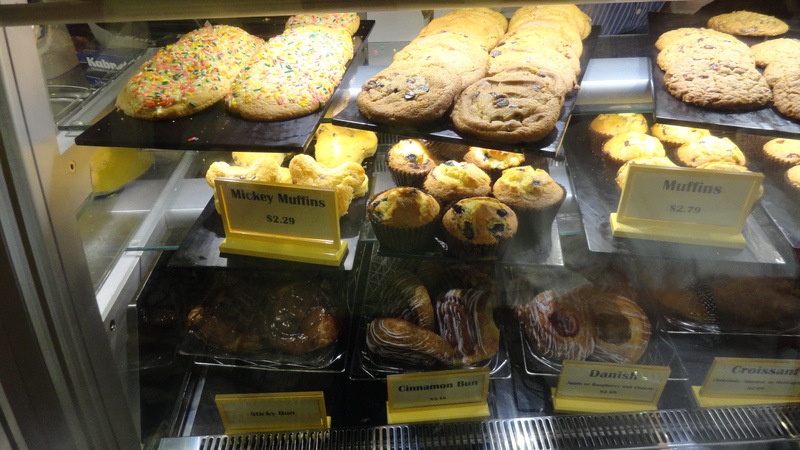 Most dessert items are in the $4-5 range (for those on the dining plan, you can use your snack credits here). 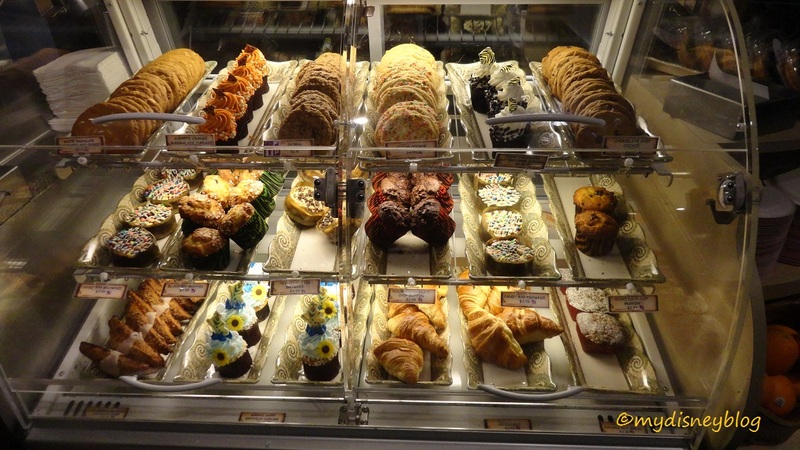 If you are looking for more baked goods at Epcot, check out the bakery at France, Norway, and Starbucks as well.